This past Sunday morning, I preached at the church for which I work. I started a series on Ephesians in March, and, since this was the first time since then that I’d preached, this is the second part of that series. You can read the manuscript of the first part (on Ephesians 1:1-8a) here. I’m posting the manuscript here for you to read. Good Morning. As always, it’s great to preach this morning. Things are a little hectic with the VBS decorations, but we’ve adjusted. And if you’re visiting with us this morning, we’re excited that you are with us. We hope that you feel welcomed, and we hope that you are blessed by our service. I last preached about two months ago, and I started a series on Ephesians. So we’ll be back in Ephesians this morning. The text will be on the screen, and we’ll get to it in a moment. But if you want to follow along in your Bible, turn to Ephesians 1. But before we do, I just need you to take my word on this. Despite what I’m about to tell you, my father is an intelligent man. But years ago, while I was still in high school and living at home, we found out that we had squirrels in our roof. Now, many of you have had that experience, I am sure. And you probably called a professional to come and kill them or bought poison or set out traps. But not my father! He had a foolproof plan that was free. My father reflected a little: what kills squirrels? The answer: cats. My dad, luckily, had a black cat that often killed chipmunks and squirrels. So, dad reasoned, he could put the cat in the roof and it will kill or run off all the squirrels. Our house didn’t have an attic. You couldn’t get up there. But there were a few sections that had a drop-down ceiling. You could push up the tiles to access parts of it. So my took this black cat, climbed a step-ladder, pushed up a ceiling tile, and put the cat in the ceiling of the house. So all he had to do was wait for the squirrels to be killed. But, unfortunately, the cat became frightened and darted to a dark corner of the ceiling and meowed incessantly. Now, maybe this would be the point where you would give up and call a professional. Not my dad. He just needed a new plan. So he asked the obvious question. Cats chase squirrels. But, now, what chases a cat? Answer: a dog. He had a plan. 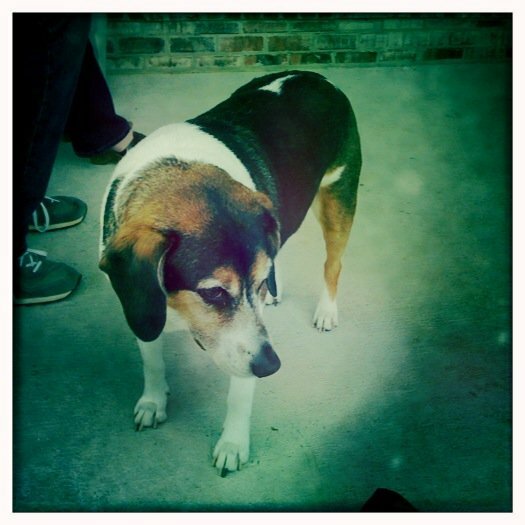 Dad took my forty pound beagle who’d never chased a cat in her life. He climbed the ladder again, and put her in the ceiling. My dog, unfortunately, also got startled and ran just a few feet until she fell through one of the tiles in the drop-down ceiling in that part of our house. She fell right onto the seat that my sister was sitting. And so, my father’s plan failed miserably. I don’t remember how we got the squirrels out or how the cat was removed. Now, I admit that my father’s plan was a terrible plan. But it was still a plan. And we will make hundreds of plans in our lifetime, whether it is a financial plan –– your budget –– or a plan for vacation, or a plan for your career, or just a plan for how you will spend this afternoon. We like plans because they solve problems. They give us hope in difficult situations, just like a budget can give you hope when you’re financially stressed. And plans give you guidance in what you should do. We cherish our plans. I think that people in our culture –– especially as true faith in God becomes rarer –– desire to know that there is a larger plan for this world than just what the nations and powers come up with. People would love to know that God has a glorious plan for the world. When you look at the world, though, it doesn’t look like there is a greater plan for it. The problems in the world make it difficult to believe that there is a God who has a glorious plan for the world. Just look at the news in the Middle East. A bloody civil war still rages in Syria. The Palestinians and Israelis still have a violently tense political situation. ISIS has overrun huge swaths of Iraq and elsewhere, massacring people everywhere it goes. Or, closer to home, loved ones dies, toddlers battle cancer, a 5 year old girl is beaten to death in our town. Yet, in the face of the hiddenness of God, Christianity has always maintained that God has a plan for this world, a plan that centers around Christ, and a plan that graciously involves us. And in the first fourteen verses of Ephesians chapter 1, Paul praises God for that plan. And so we come up to Ephesians 1:8-14. The last time I preached we zeroed in on how Paul says that God has given us every spiritual blessing so that we would be holy and blameless. That’s the purpose of the spiritual blessings –– to be holy like God. Let me first read the text. I’m going to read verses 3 through 14, because in the original Greek they are all one sentence. But we’ll focus on three themes from the last part of verse 8 through verse 14. “3 Praise be to the God and Father of our Lord Jesus Christ, who has blessed us in the heavenly realms with every spiritual blessing in Christ. 4 For he chose us in him before the creation of the world to be holy and blameless in his sight. In love 5 he predestined us for adoption to sonship through Jesus Christ, in accordance with his pleasure and will— 6 to the praise of his glorious grace, which he has freely given us in the One he loves. 7 In him we have redemption through his blood, the forgiveness of sins, in accordance with the riches of God’s grace 8 that he lavished on us. With all wisdom and understanding, 9 he made known to us the mystery of his will according to his good pleasure, which he purposed in Christ, 10 to be put into effect when the times reach their fulfillment—to bring unity to all things in heaven and on earth under Christ. As I said earlier, it’s not obvious when you look at the world that there is a divine plan in effect. And Paul admits this by calling the plan a mystery, but a mystery that has now been revealed. God has revealed it to us. Some people misunderstand the idea of mystery. The mystery here isn’t something that is hard to understand, like the Trinity. But it simply means something hidden, and it has been revealed in Christ. Second, it’s God’s eternal plan. It was the plan from before the creation of the world. Sometimes we treat the work of Jesus as a backup plan when the other plans failed. The garden didn’t work. The Old Law didn’t work. So God tried this. But from the beginning, from the Garden of Eden, through the promises of Abraham, to the ups and downs of Israel, through Jesus and the church –– all this was part of God’s plan. Third, God is fully involved in this plan. We easily miss such things, but one of the beauties of this passage is how the entire Trinity, the Godhead of Father, Son, and Holy Spirit, are involved here. The Father’s plan. A plan to unite all things in Christ. And, in verse 13, believers are marked with the Holy Spirit. All the persons of the Trinity are involved. Fourth, God plans to bring “unity to all things in heaven and on earth under Christ,” as Paul says in verse 10. In other words, the plan is to to bless the world through uniting everything under Christ. If you read the opening chapters of the Bible and the account of the first sin, you see that sin introduced divisions between God and humans, between the world and humans, and between other humans, including families. God’s plan is to heal the division and put everything under the reign of Christ. There will be healing. The enemies of God will be defeated. In Christ, God will be our God and we will be His people. It will be paradise again. Paul wants us to see the sweeping scope of this plan. Why? I think because we become so focused on living moment-to-moment that we miss the broader view of what God is doing. I grew up two hours north of here, outside of Oxford, Alabama. While growing up, sometimes I would hear someone refer to our area as a valley. But it didn’t seem like a valley when you were driving around. 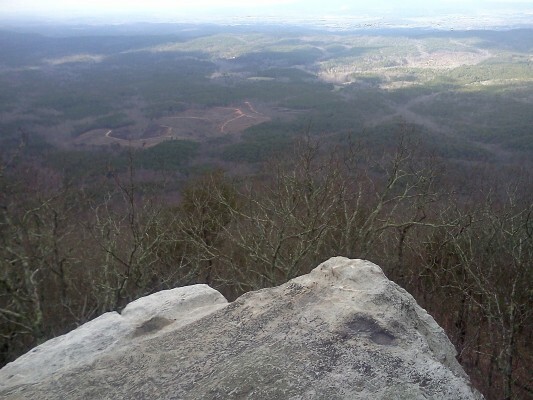 But, since we lived near Cheaha Mountain, we would often go to Bald Rock. And from there, one could easily see that it was a valley. Likewise, we live our lives moment-to-moment, but the Bible teaches that there is something bigger is happening. That the ups-and-downs of our lives don’t have the last word. There is a bigger, more hope-filled trajectory to history. Yes. The world looks evil and chaotic, or, at least, meaningless. But Paul tells us step back and see that God is fully invested in a plan to unite all things under King Jesus, for the Kingdom of God to come and for the will of God to be fully done. That, I’ve found, is the only comforting answer to pain and suffering. I have read the arguments that show that God can still exist even though there is evil. But the only thing that comforts me when confronted with loved ones who’ve died or the senselessness of a grandmother with Alzheimer’s or the evil in the world or the gut-wrenching images of sick or starving kids half-way around the world is knowing that there is more to the story of the world than this than this. Think about it this way: what reason outside of the plan of God do you have to be optimistic? What gives you hope that things will get better? Technology? Knowledge? Those increase our ability to do great evil. There is no good reason to have optimism if you don’t also have a God who working through history to heal the wounds of the world. And so we step into our darkest days with the knowledge that we are living in the midst of a broader work of God, a work that ends with Jesus as King and death defeated, no tears, no sorrows. So, for those of you in the midst of a difficult period in life, my word to you is to look at the broader picture. See what God is doing. Of course, that God has a cosmic plan doesn’t matter to us if we don’t have a place in the plan. 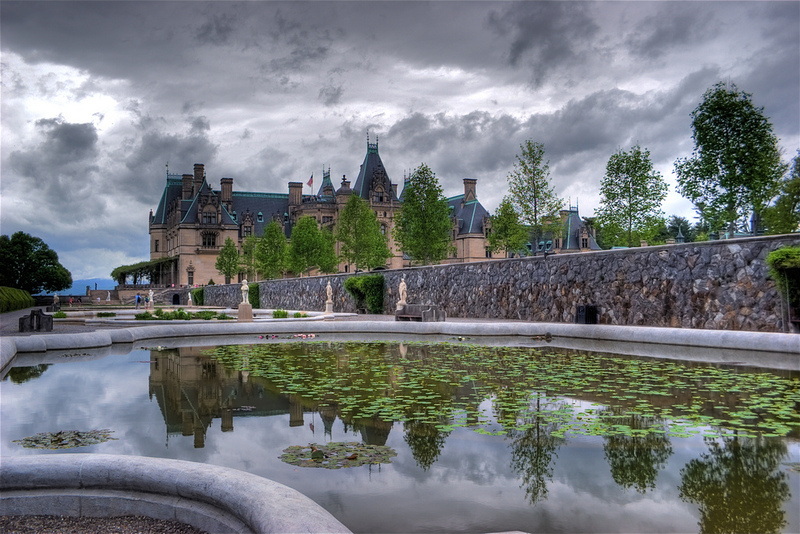 Katie and I visited the Biltmore Mansion two weeks ago on a trip for our 10-year anniversary. And it is a splendid, majestic, luxurious house. But it’s not ours. If we were homeless and needing a place to stay, seeing that house would be cruel, not hopeful. God’s people, those who are in Christ, are included in the plan. So to have a place in God’s plan you have to be “in Christ.” Being “in Christ” is a powerful concept for Paul, and he talks about it much more than he talks about Christ being in us (which he only says 5 times in all his letters). It is such a core idea for him that one of his favorite ways to describe the church was as the “body” of Christ. These verses are hotly contested. Do they mean that God chooses individuals to be saved, and only those whom God handpicks can be saved? If the entire plan of God is geared toward us being united to Christ and receiving the blessings of God, then our faith is not a sideshow. Walking with God is not just one of the many things that you do. It’s at the core of what you do and who you are. But the temptation is great to treat it as just one more thing among many in our lives, and this is especially true the longer we have are a Christian. For many people, after conversion there is an excitement and a seriousness about her new faith that dominates her life. But the longer you have been a Christian, the easier it is to treat your faith as if it is just one of many things you do. You go to work. You exercise. You spend time with your kids. You watch T.V. You hunt. You do chores. And, in addition to that, there’s Christianity. But Paul says that you have a place through Christ in the grand, cosmic, eternal plan of God to unite all things in Christ. Just as God’s plan is at the core of world history, so it is at the core of our lives. And let me encourage those of you who have been Christians for decades: don’t allow your faith to slip into being one among many things you do. Let it be the core of your life, a core that energizes your entire life. And model that for the younger Christians around you. Let them see a life centered on Christ. Yet, once again, we have to face an uncertainty about our place in the plan. What we just looked at says that those in Christ have a place in God’s plan. But how do we know that we are in Christ, that we have a place in the plan? In other words, how do we know we are saved? I am sure that many of us here today have asked ourselves that question. We give a lot of answers to that question. We just blindly say “Of course you’re saved.” Or we ask if someone has been baptized or if they attend a church, though many non-Christians have been baptized and have attended church. Here, though, Paul answers this in a way I don’t normally hear us answering it. He appeals to their experience of the Holy Spirit. Paul says that they, probably meaning either second-generation Christians or Gentile Christians, were included in Christ when they heard the gospel. Then he talks about the Holy Spirit as a seal. What’s a seal? The original readers would have understood this. Slaves and cattle and goods in a marketplace were often marked with a seal showing who the owner was. You could look at something or someone, and see who the owner was from the seal. So the Holy Spirit is the sign, the mark on our lives, that shows that we are God’s. Furthermore, he calls the Holy Spirit a “deposit guaranteeing our inheritance until our redemption”. A deposit is a partial payment that guarantees that we will get the rest. In other words, the Holy Spirit guarantees that all of the blessings of God will be ours after the days of redemption. The Holy Spirit doesn’t just mark us out as the people of God. He assures us that we will receive the full blessings of God in heaven. So, the Holy Spirit marks you off as God’s child, but it also guarantees to you that greater blessing is coming in the fulness of time. This is not how we normally reassure one another. Probably because the Holy Spirit scares us. We don’t know what to do with him. But Paul is not reluctant to talk about the Holy Spirit. And neither is the Bible. I should further observe too that there is no way that Spirit can function as a guarantee of the faith unless we can know that the Spirit is in our live. There has to be some kind of experience of the Spirit that gives us a more concrete awareness of our own salvation. How do we experience the Holy Spirit? One way is that we are slowly transformed to look more like Christ. Or, to put it in more obvious terms, growing in the fruit of the Spirit shows that the Spirit is in your live driving that growth. One of the ways that you can “experience” the Spirit of God is that you slowly mature as a Christian. So another way way the Spirit acts as a deposit and guarantee of faith is that he gives us confidence in viewing God as Father. The Spirit, in some way, testifies in our lives that we are children of God. I don’t mean that this operates on its own as the sole way to tell if you are a child of God. But, in addition to faith and baptism and a transformation to be more like Christ, we get further assurance that we are God’s by the Spirit treating a disposition in us to see and relate to God as our Father rather than an enemy whom we fear. The Bible has a few warnings against “quenching the Spirit”, and, whatever else it means, surely one way we quench the Spirit is expect the Spirit not to do anything. Paul, I think, fully expected the Spirit’s work in our lives to become evident, not in a superficial feeling but in a deep-seated sense that we are the child of God. So, church, let’s not quench the Spirit. Let’s fully expect the Spirit’s work in our lives to be evident enough in us –– through a changed life and through a sense of God as a loving Father –– that we are confident in our faith. These verses all serve as the opening worship of God in this letter. All of this serves to make God and His gracious work seem great and majestic. That’s what the word “glory” means. When we see the sweeping plan of God, that in Christ we have a place in the plan, and that the very Spirit of God works in our lives to testify to our place in that plan, our reaction is to worship and praise him. We were created to worship and serve the Creator. To catch a glimpse of His greatness and His work and praise him for it. If you aren’t a Christian, just know that you were created to worship and serve God. And God is calling you to do what you were created to do!